It is a case of third time lucky at Thurles on Thursday as the Co Tipperary track belatedly gets its National Hunt programme underway for this season. The summer drought left conditions at the track too quick for jumps racing in recent weeks, but some rain has arrived ahead of Thursday and the going is described as good to firm ahead of a seven-race card. Top-weight Synopsis in the Ballagh Mares Handicap Hurdle is the highest rated runner on he card with a mark of 124. However, the 120-rated rated Tara Dylan’s presence in the Templemore Mares Maiden Hurdle is arguably of more interest and and the Tom Mullins-trained mare may prove the best bet on the card. Tara Dylan is already a three-time Flat winner and while she has failed to win in eight previous hurdle starts, she has shown good form on occasions and was highly tried at Grade One and Grade Two level last term. Her main danger could be her trainer’s brother Willie Mullins’ Miss Chevious Girl, under Ruby Walsh, who makes her jumping debut having finished third on each of her three previous bumper starts. 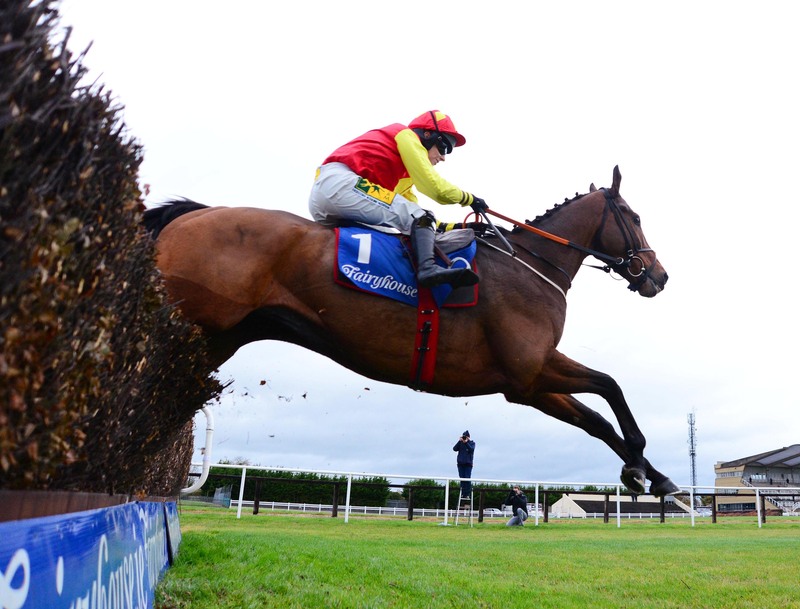 Jaunty Thor bids to follow up Wednesday’s Fairyhouse win in the Littleton Handicap Chase and while the Gordon Elliott-trained runner has solid claims, he does drop in trip to two and a quarter miles and preference is for John Kiely’s Conduct Yourself. The mare competes from a 16lb lower chase rating to her hurdles mark and has solid claims today having run well when third in a similar race at Wexford less than a fortnight ago. The opening Thurles Beginners Chase is best left to the Jimmy Finn-trained Lleyton, who has been in excellent form over hurdles in recent times and Paul Townend keeps the ride.